Cave surveying is at the very core of the MSS. By surveying, or mapping caves, we can systematically document exploration to determine where cave passages lie and possibly gain insight into additional passage that could otherwise go undiscovered. Maps also help us conceptualize the relationship between the surface above and the caves below. Cave surveying is a slow process which involves field time collecting data within the cave. Depending upon the nature of the cave, these trips can sometimes be very demanding yet incredibly rewarding. 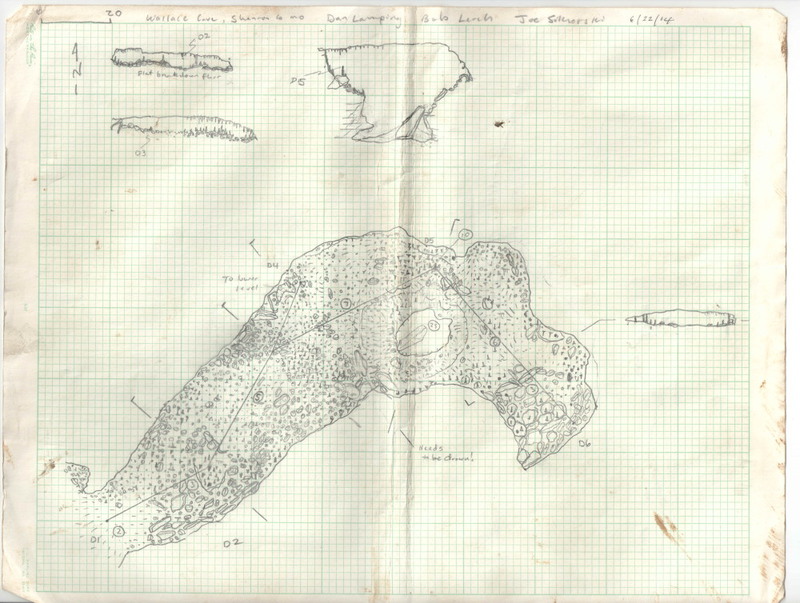 Above is an example of a finished map of on Ozark cave made through the volunteer efforts of cooperators of the MSS. 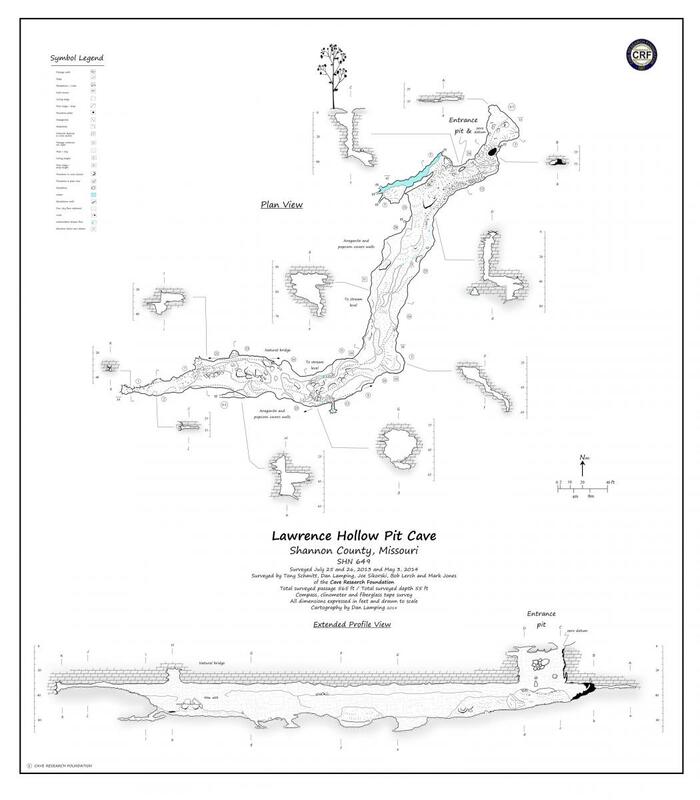 The images above show the line plot surveys of two small caves in the Ozarks which were connected through a surface survey. The image on the left shows the profile view, which effectively measures the vertical range of the cave and the image on the right is the plan view, which is a bird's eye view of the cave, looking down from above. Finished cave maps are made using raw, in cave sketches, combined with line plots as in the images above.